As of 12/26/2017, academic.evergreen.edu will no longer provide web services. Data owners will still be able to access their files and should make arrangements to migrate their content to a supported web hosting platform. This entry was posted in Curricular Technology on December 26, 2017 by Amy G..
WordPress sites running on http://blogs.evergreen.edu and https://sites.evergreen.edu have been updated to security patch 4.1.2. They’ve expanded the services supported by default, too — you can embed videos from CollegeHumor, playlists from YouTube, and talks from TED. Check out all of the embeds that WordPress supports. Twenty Fifteen, is a blog-focused theme designed for clarity. The straightforward typography is readable on any screen size. Your content always takes center stage, whether viewed on a phone, tablet, laptop, or desktop computer. This entry was posted in Curricular Technology, System Updates on April 23, 2015 by Amy G.. The most recent FireFox update (v37) has rendered a few of our Evergreen sites inaccessible while using FireFox. If you are on this latest version of FireFox you may see a Secure Connection Failed page when you attempt to go to Moodle or any of the Banner Self-Service sites access via my.evergreen (e.g. Registration, Financial Aid, Student Financial Services, Budgets & Finance, Faculty Class Information, Account Summary, Employee Services). The folks in Computing & Communications is aware of the reason for this message and we are developing a plan to resolve this so our pages will be accessible via FireFox. While the error is experienced only on the FireFox browser, this is a technology issue on our end, not a FireFox problem, which means it’s in our hands to resolve. Our Network Services team are prioritizing a fix for this problem, we will keep you updated on when this will be resolved. In the meantime, the best solution we can recommend is that you use an alternate browser such as Safari (Mac), Internet Explorer (Windows) or Chrome (Mac/ Windows) to access Moodle or the Banner Self-Service sites mentioned above. This entry was posted in Alerts, Curricular Technology, Featured on April 15, 2015 by Rip. Evergreen is now in our last quarter of actively using Moodle as the primary web technology for academic offerings. Moving forward I thought it would be useful to layout how the transition has been going and what to expect over the next year and beyond. To date, there have been 20 academic programs that have made the move to WordPress as a curricular web application and these have been really successful. Considerable work has been put into making WordPress a flexible, easy-to-use and attractive web tool for academic offerings. New curricular web templates have been created to make it easier to create your sites. WordPress also allows for both a private and public face to your program site and lots of interesting ways to engage students in class materials. Check out Making Meaning Matter, Contested Bodies or Ecology of Grazing and Grasslands in the Pacific Northwest for more about how these sites can look and function. We are currently working on a behind-the-scenes enrollment process that will automatically add your students as subscribers to the site much the way Moodle and Canvas currently work. On the Canvas front there has been strong activity with 125 offerings generating Canvas course sites this academic year. The fall started rocky as our faculty discovered and subsequently our technical team identified a significant flaw in the Canvas code. This made the transition to Canvas more difficult than it should have been as faculty were routinely getting timed out of the application. The problem was complex, difficult to diagnose and required collaboration between Evergreen technical staff and Canvas engineers. The root cause of the flaw was finally understood and corrected at the end of Fall quarter by the Canvas engineers. In our minds this experience cemented Canvas’ responsiveness and dedication towards finding and resolving flaws in their application which bodes well into the future. Since then, we have not experienced systemic problems and continue to grow our knowledge of how best to leverage this application to fit the Evergreen pedagogy in its myriad forms. 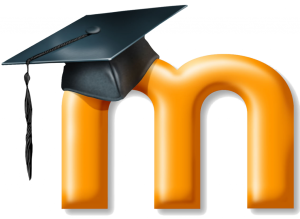 Moodle also had considerable activity this last year as 124 course sites were created. We are working hard to connect with the remaining faculty who continue to use Moodle and to work with them on-on-one to find a suitable alternative starting this summer. For those who have asked the question, I will try and summarize below how we intend to provide future access to Moodle data after spring quarter is over. I definitely heard from faculty how important long-term access is to this material and we’re trying to come up with a best solution for balancing access with easy long-term maintenance. For the next academic year Moodle will live in “archive” mode meaning that it will be available only to faculty (as is) to go back and mine data they need as they need. After spring 2016 we will be moving all the data into a stored course/file structure outside of a live application (easier long-term archive strategy) so that we can grab data on request if there’s something faculty might need. We’re still figuring out the best technical approach but this is the current direction. If you have questions or want to know more regarding any of this, please comment below (so your colleagues can see the question) or send me an email, and either way I’ll get back to you. Thanks to everyone for all your great work, flexibility and ingenuity! This entry was posted in Curricular Technology, Featured on April 13, 2015 by Rip. With a 100MB upload quota, running out of space has been a problem for many site owners using images on blogs.evergreen.edu. For most, the issue lies with uploading high resolution, unprocessed images straight from a digital camera to the image library. These images then get scaled down by WordPress for the web but the original still hangs out in the media library taking up valuable space. We often see image files uploaded to WordPress in excess of 7MB in file size and over 5000 pixels wide. When people view your images on your blog however, WordPress is delivering a scaled down version, typically at 500 pixels wide max. For Fall of 2014 we’ve implemented a fix that will hopefully solve this issue. We’ve activated a network-wide plugin that automatically resizes images on upload to a max of 1200 pixels wide and discards the original high resolution version (site owners are responsible for keeping copies of original images somewhere safe). With 100MB of file space you should now have room for over 600 images . The settings to control the image resize on upload are found in Settings > Resize Image Upload. This entry was posted in Curricular Technology, System Updates on September 5, 2014 by Amy G.. This entry was posted in Curricular Technology, System Updates on August 20, 2014 by Amy G..